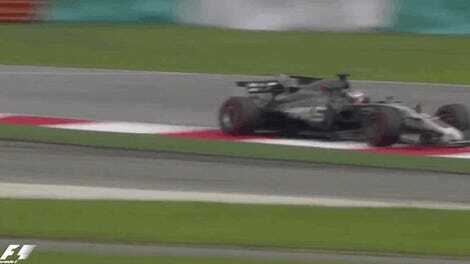 Daniel Ricciardo passes a “bus” marking on the F1 street circuit in Singapore in September of this year. 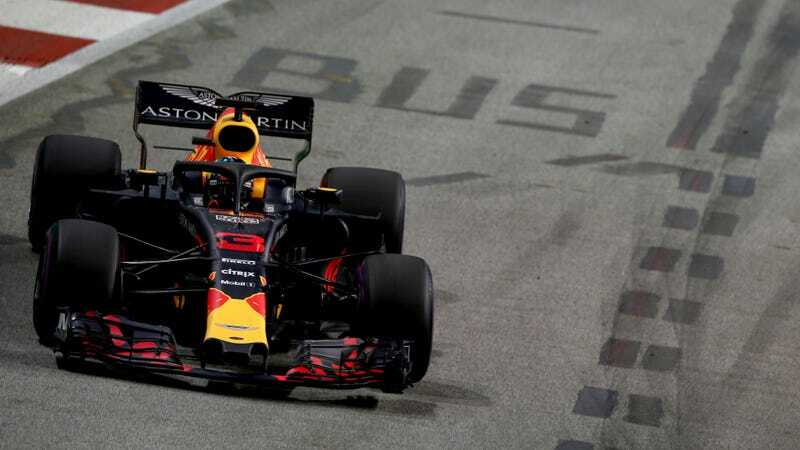 There have been rumors about Formula One heading to Vietnam’s capital for a street race all year, but it won’t be as easy as putting down some paint, rumble strips and kerbs. If it happens, the race will take place on a mesh of street course and purpose-built F1 circuit, which will then also become a public street. That’s according to F1 race director Charlie Whiting’s quotes in an Autosport report on the Vietnam race, which said it’s pretty much a done deal. Unnamed sources, according to Autosport, said F1 reached a deal for a 2020 Vietnam Grand Prix near Vietnam’s capital city, Hanoi, and should announce it next month. But the announcement is just the start, since Autosport reports part of the planned street circuit for the race will be paved between now and the race. Autosport called the track “partially street based,” and reported that Whiting visited its location before the Japanese Grand Prix over the weekend. Whiting said the building plans for the track are in “the advanced stages of design” with the aim for a 2020 race date, and that the part(s) of the track that’ll be built to sew the circuit together will become regular streets when F1 isn’t in town. “It is mainly on the streets, but there is a section that is not yet built,” he explained. “That is an open site where the pit buildings are going to be built. After the issues with the Miami Grand Prix street race, which was supposed to happen in 2019 but got pushed back to 2020, or maybe never, it’s good from a spectator perspective to hear that F1 will get to mold this planned street circuit to its liking by paving part of the track in. The original Miami circuit map looked like a bunch of bobby pins mashed together because it only had a small area of existing streets to work with, and those streets were either giant straight shots over the water or overly tight and angular turns on the coast—making it terrible for passing and for staying awake on a Sunday afternoon. F1 has already said it’s going to do what it can to tweak the Miami layout before 2020, but there, it only has existing streets to work with. In Hanoi, F1 will have a lot of say in customizing the track since F1 has to piece it together itself. And with F1 leadership regularly recognizing the series’ lack of overtaking, here’s hoping that track map will make for good passing opportunities. Formula One management has expressed strong interest in a race in Vietnam, with Hanoi seen as the sort of ‘destination city’ the sport is looking for. No signing has been confirmed, however, even if there has been plenty of speculation that a deal is done. The country is a growing market for sponsors such as brewer Heineken and would be a fifth Asian race on the calendar, making up for the departure of Malaysia. Now if only F1 could move the Miami Grand Prix to, say, a rural area of the U.S. where the series could construct some wild circuit on the backroads, we’d really be in business—and F1 would be out of the wrath of angry Miami residents who don’t like loud cars. It’s a win-win for everybody.